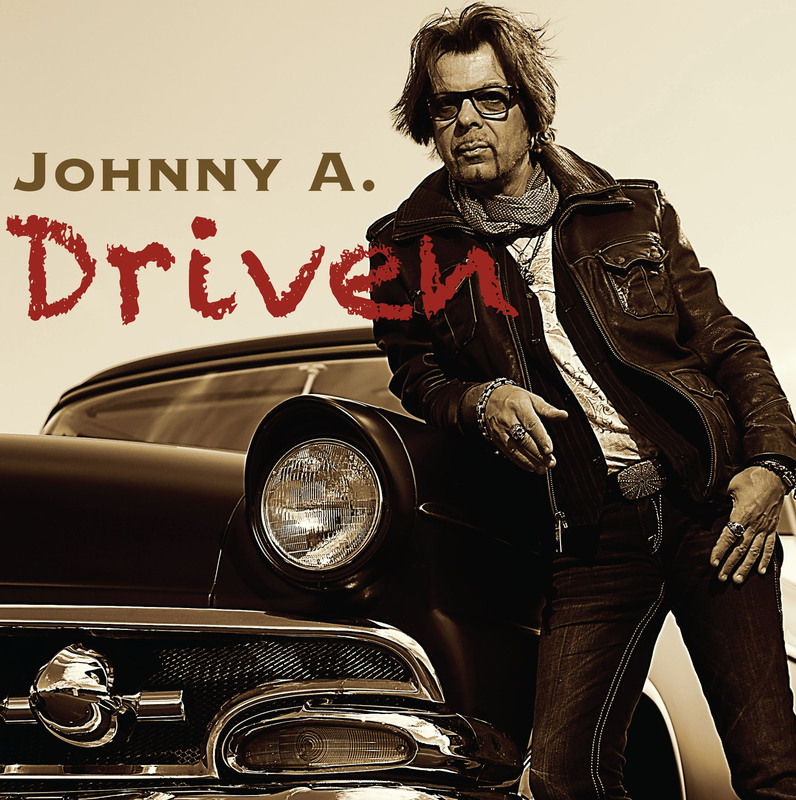 The album cover art for Johnny A.’s new LP, Driven. Johnny A., seated in his personal recording space, outfitted with the help of GC Pro. Photo by PK Pandey. 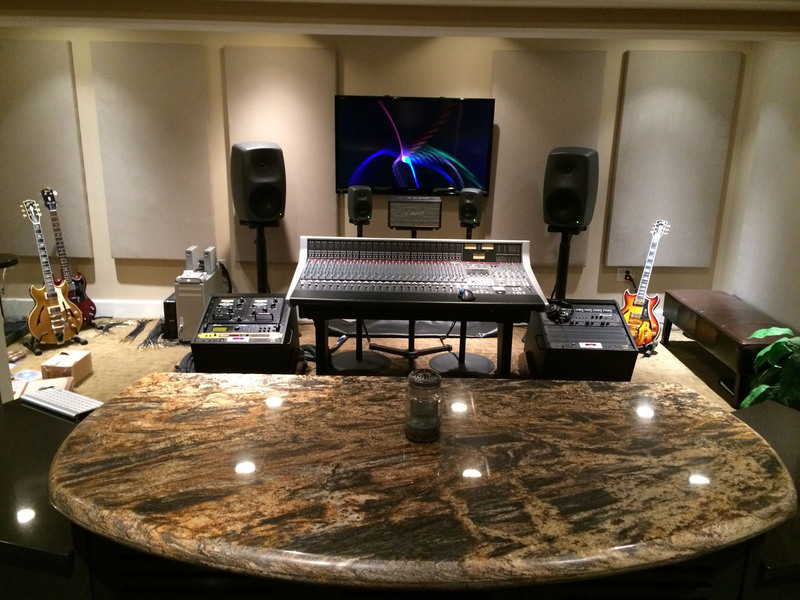 Johnny A.’s personal recording space, outfitted with the help of GC Pro. Photo by PK Pandey. 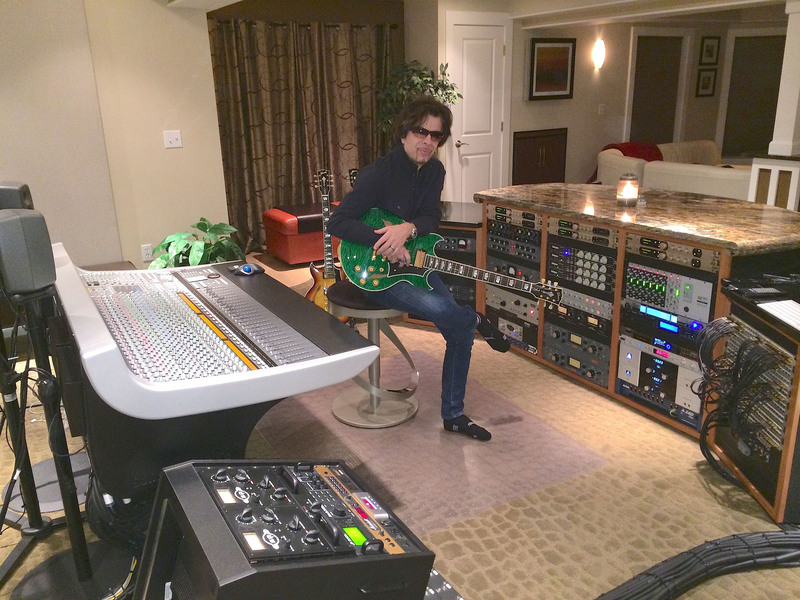 WESTLAKE VILLAGE, CA, March 17, 2014 — Guitar Center Professional (GC Pro), the outside sales division of Guitar Center that focuses on the needs of professional users, has been working with veteran guitarist Johnny A. on his personal recording space, resulting in a custom studio suited to his unique production style and a new LP, Driven (set for pre-release on March 18 on Aglaophone Records), which he describes as his “dream album.” Seasoned as a producer, composer and instrumentalist, the Boston-area musician had not been comfortable taking on engineering duties by himself on previous projects, but he was determined to push himself to new levels for this album, and with the right combination of gear and hard work, he found new legs as an engineer. Johnny A.’s resume includes time with Derek & the Dominos keyboardist Bobby Whitlock, CCR drummer Doug Clifford, Peter Wolf of the J. Geils Band and others, as well as a reputation for nuanced compositions, masterful playing and studio perfectionism (and a Gibson custom Johnny A. signature model to boot). Naturally, the bar was already high when he decided to outfit his studio and make a new album. His production techniques have evolved over the course of his years collaborating and producing his own and other’s records; he records his guitars direct, an approach that sets him apart from other guitarists and producers. And with the new project, he became comfortable as an engineer and mixer, adding those important skills to his already-impressive toolbox. Working with GC Pro Senior Account Manager PK Pandey (based at GC Pro’s Boston office), Johnny A. set out to acquire a new console and a full complement of analog gear. Johnny A. recalls, “I had known PK for years, and over the course of this project, we got closer and closer, and now we’re like brothers. He was well aware of my production techniques, of recording mostly direct, and I asked for his recommendations on analog gear – good, better and best. He knew all the right tools for the job here, and unsurprisingly, we went with ‘best’ in every case!” The gear that they decided on included an SSL AWS 948 console, multiple Apogee Symphony systems, two Neve 1081A EQ’s, two Vintech X73 preamps, an SSL XLogic stereo compressor, a GML 8200 EQ, a pair of Universal Audio LA-3A Classic Audio Levelers, an Isochrone master clock from Antelope Audio, four Distressors, various items from Retro and Mercury Recording, a John Hardy Twin Servo preamp, a Logic setup and Addictive Drums software from XLN Audio. For more information, please visit www.gcpro.com and www.johnnya.com. Photo Caption 1: The album cover art for Johnny A.’s new LP, Driven. Photo Caption 2: Johnny A., seated in his personal recording space, outfitted with the help of GC Pro. Photo by PK Pandey. Photo Caption 3: Johnny A.’s personal recording space, outfitted with the help of GC Pro. Photo by PK Pandey.